It might surprise you, but football has a legacy in India, which dates back to 1870s. While the game is not as popular as other sports like cricket, it is certainly gaining a lot of momentum. The Indian football scene is often termed as the sleeping giant of world football. With an unparalleled scope, the Indian football team is certainly going to perform well in the coming years. Let’s learn more about the Indian football scene, team members,matches, and more. Just like cricket, football was also introduced in India by the British soldiers. Soon, the first football club was established in Calcutta in 1872. Later, in 1893, the Indian Football Association was created. India qualified for the FIFA World Cup in 1950, when the scheduled opponents canceled their participation. Though, India was also not able to play that year due to numerous issues. Post that, India has never qualified for any FIFA World Cup. 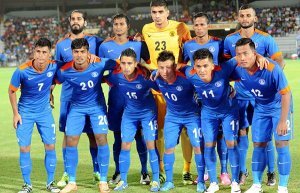 Nevertheless, the Indian national football team has won plenty of matches. It got a gold medal in football in the first Asian Games in 1951. The team also reached till the semi-finals at the 1956 Melbourne Olympics. After that, we saw a decline in the overall performance of the Indian football. Later, All India Football Federation (AIFF) was established as a governing body to manage and encourage the sport. The Indian Football Team represents the nation of India in various FIFA and AFC governed tournaments. It is also a part of the South Asian Football Federation. While the team has never played in any FIFA World Cup, it has participated in various SAFF and AFC Asian Cups. The current India football ranking is 97. The lowest and highest ranking of the team is 173 and 92. The first international football game by the Indian team was played in 1938 against Australia. The biggest win (1-7) of the team has been recorded against Australia in 1956. In 2007, India won a match against Cambodia by 6-0. While the Indian football team captain is Gurpreet Singh Sandhu, the top scorer is Sunil Chhetri. Here are all the other players of the national football team. In order to encourage Indians to play and watch football, several leagues and competitions have been organized so far. Indian Super League is the biggest Indian football league, which is also recognized by FIFA. It follows the lines of the T20 cricket and features different teams. After learning so much about the Indian football players and the team, let’s see some of them in action. 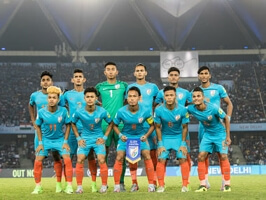 In November 2017, India played against Myanmar to quality for the 2019 Asian Cup. It was a cut-throat match with a score of 2-2 on each side. Back in 2013, India and Pakistan played against each other in the SAFF cup. India won by one goal. The under-17 match was played between India and Colombia in 2017. Even though India lost, the team certainly left their mark. The results of this friendly match between India and Puerto Rico were pretty surprising as India won with a 4-1 score. Another qualifying match that India won was played against Cambodia. The match was played in March 2017 and India won it by one goal. 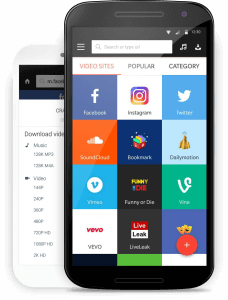 If you are a sports enthusiast, then you should certainly download Snaptube on your device. This freely available Android app will let you watch match highlights, football tutorials, player interviews, match analysis, documentaries, and so much more. The best thing is that Snaptube is a freely available app. It has integrated a wide range of video sharing platforms. Therefore, you can watch unlimited Indian football videos without paying a single dime. Not just football, you can watch tons of other videos from different sports, genres, and language on Snaptube as well.